We have been very busy here in school since returning after the summer break. 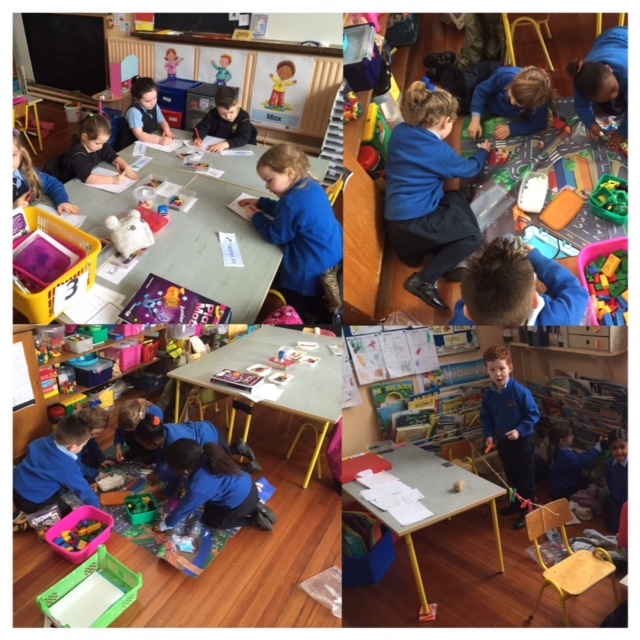 We have started into our class work and have been having lots of fun. Aistear has now started here in Presentation Primary School in both the Junior and Senior Infant classes. 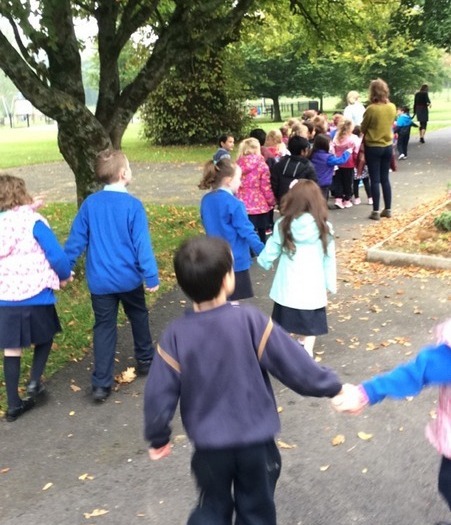 Aistear (an Irish word meaning “Journey”) is a framework for developing literacy and numeracy through play, which is very much supported and promoted by the Department of Education and Skills. Here are the children getting ready for their dress rehersal of the christmas play in front of all the boys and girls in the school. 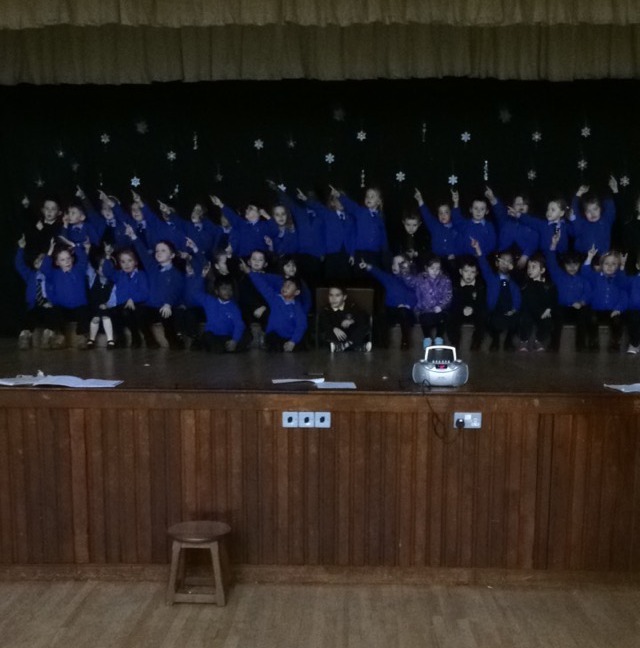 The children have been practising very hard and look forward to performing their plays on stage. 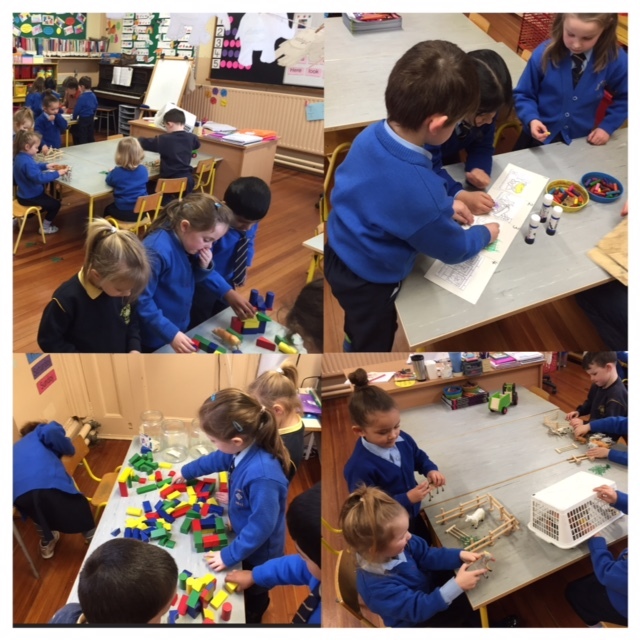 All the infant classes are very busy at the moment getting ready for Christmas. They are all working hard practicing their Christmas plays for next week. On Wednesday the 9th of December they will perform their plays in the School Hall at 11 o clock and again that evening at 7 o clock. Tickets can be purchased from the school office for €5. Get them quick before they are all gone. 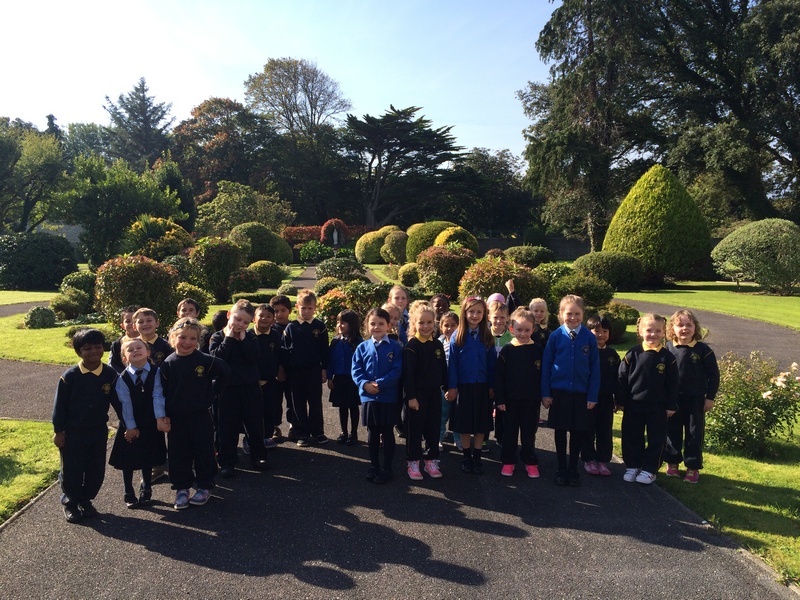 As our school is just beside the Tralee Town Park we sometimes get to go for walks there. This is a great way to see the trees and flowers and to examine the effects of autumn on the park. 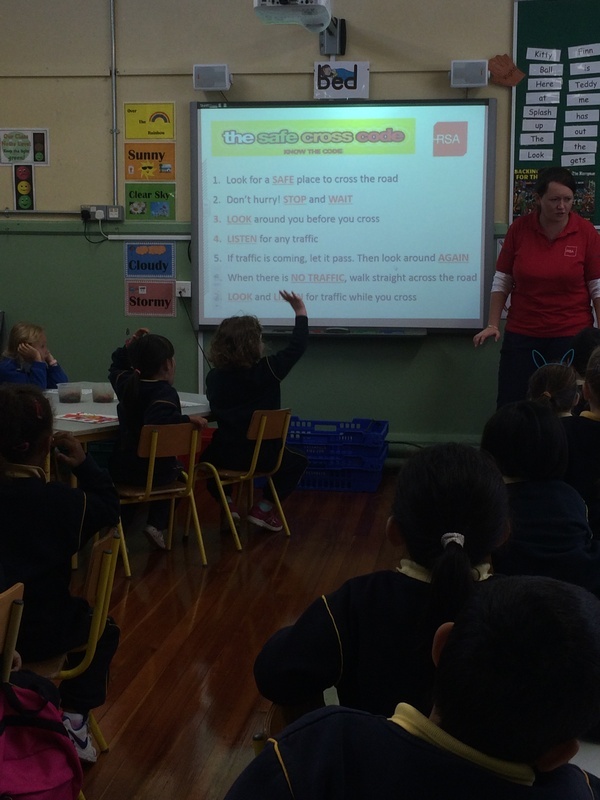 We had a visit from Eileen from the Road Safety Authority who told us about the importance of being safe on the roads. We are looking forward to watching Kerry play in the All Ireland Final against Dublin. We hope Kerry win and that the Sam Maguire will be visiting our school. 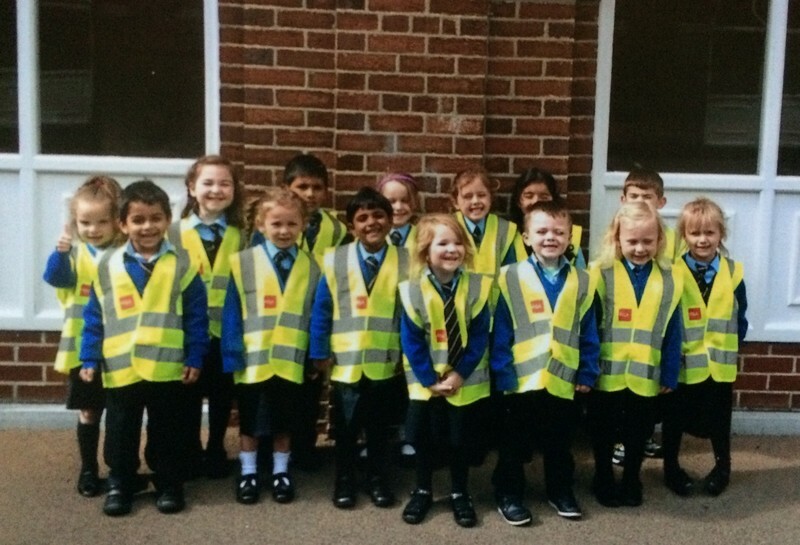 The whole school including us here in the infant classes are supporting the green and gold. Up the Kingdom!! 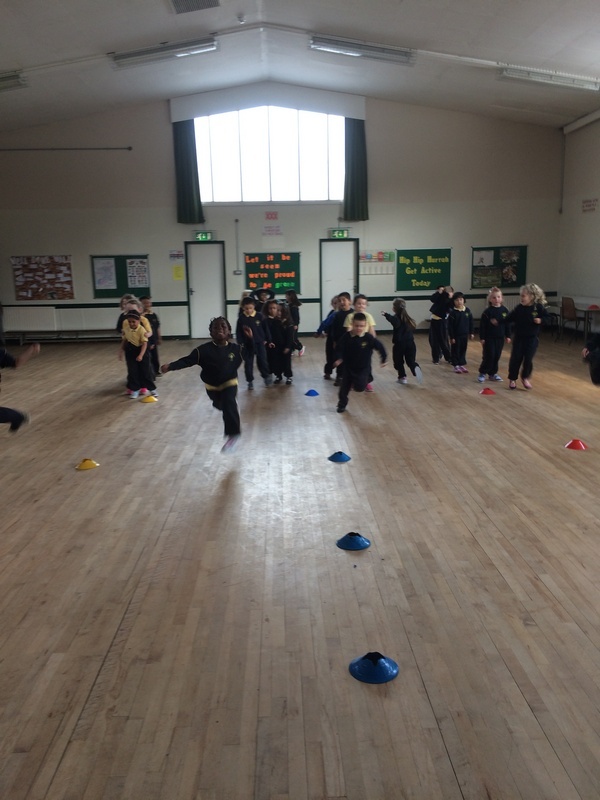 We love doing P.E in our school hall. We have so much fun doing it and excercise is good for your health. Here is a photo of us running in the hall.